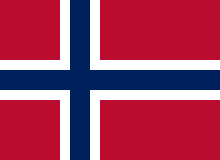 Norway competed at the 1906 Intercalated Games in Athens, Greece. 32 athletes, all men, competed in 12 events in 3 sports. ^ "Norway at the 1906 Intercalated Games". sports-reference.com. Retrieved 29 January 2014. This page was last edited on 30 March 2018, at 01:16 (UTC).